Sterling Silver Square Shape Prayer Box Keepsake Pendant. The pendant has a functioning lid that opens and closes. 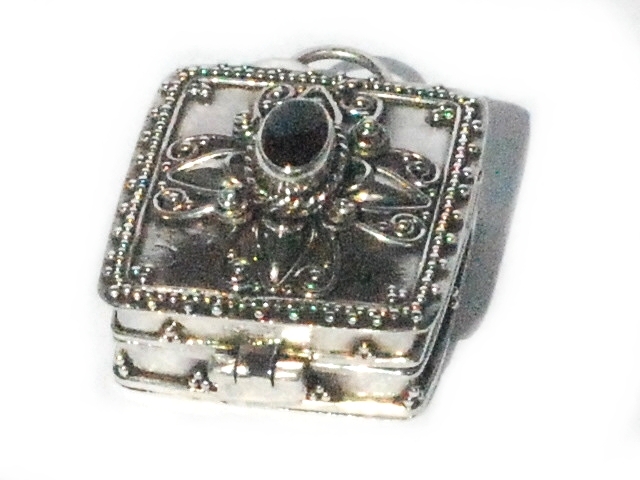 These pendants are also known as prayer boxes, lovers lockets, poison boxes, urn cremation pendant jewelry, stash pill box pendants and keepsake pendants.